That's how it was in the story before you when a little girl was left without her big friend, a cat named Cursor. When Claudia Arnold from Nanaimo, Canada was born, her family already had a big fat cat named Cursor. Little Claudia quickly wrapped up a friendly relationship with the kitten, and when she was growing up, they were inseparable. Three years passed, but there was still no information about Cursor. But little Claudia never gave up - she told her parents every day about their kitten, and she always believed she will someday meet her cat again. One day the family received a call from the animal shelter, saying that they probably found their kitten Albert. The parents did not tell little Claudia that their cat was found. Instead, they took her straight to the shelter, where they started capturing a special scene on their camera. 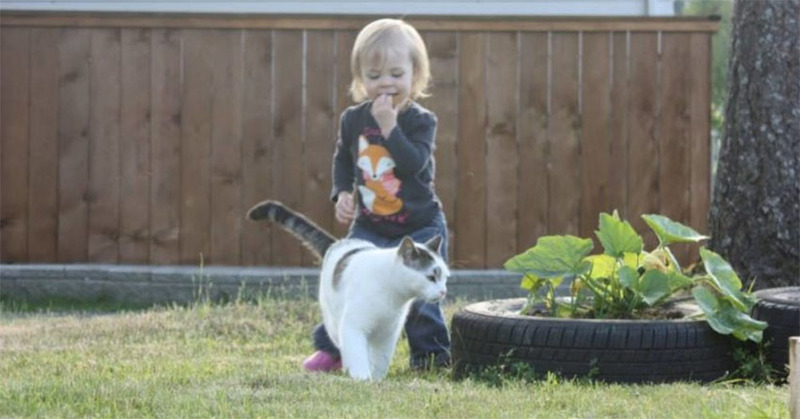 See how little Claudia reacted when when she saw her cat Albert again after three years!